Seriously it was soooo HOT in Cozumel! 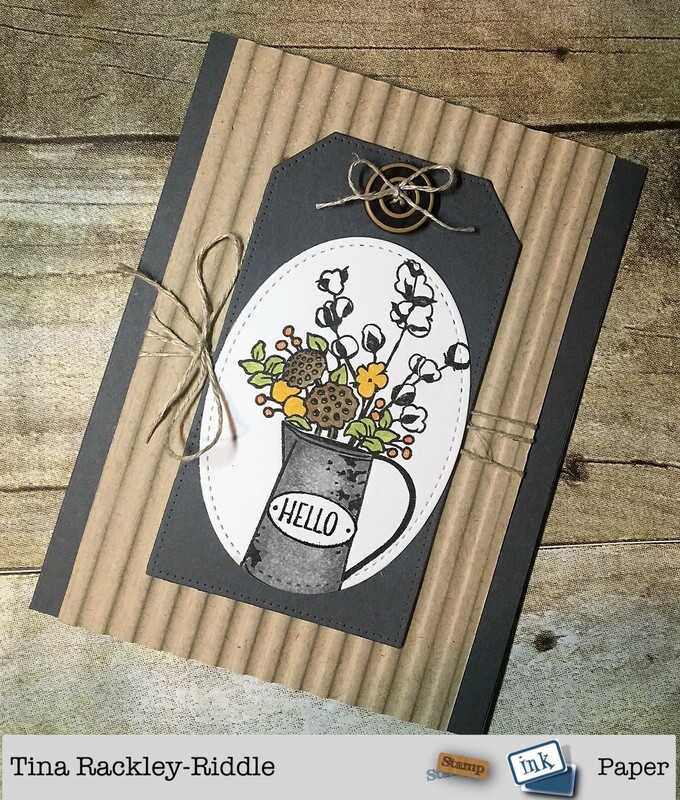 So getting back to the business at hand, I literally threw together a card so quickly with some goodies from Concord & 9th in a Fall Theme! I just totally LOVE all of the Concord & 9th Turnabout stamps and this Lovely Blossom turnabout was super fun because the leaves layer so well. I used SU Sahara Sand Cardstock and layered the leaves with Crumb Cake, Pumpkin Pie, Cajun Craze and Cherry Cobler SU ink. 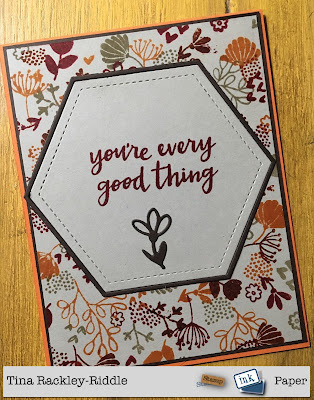 I cut the stamped layer 4" x 5 1/4" and layered it on a piece of 4 1/8" x 5 3/8" Early Espresso Cardstock and then on a Pumpkin Pie A2 Card Base. 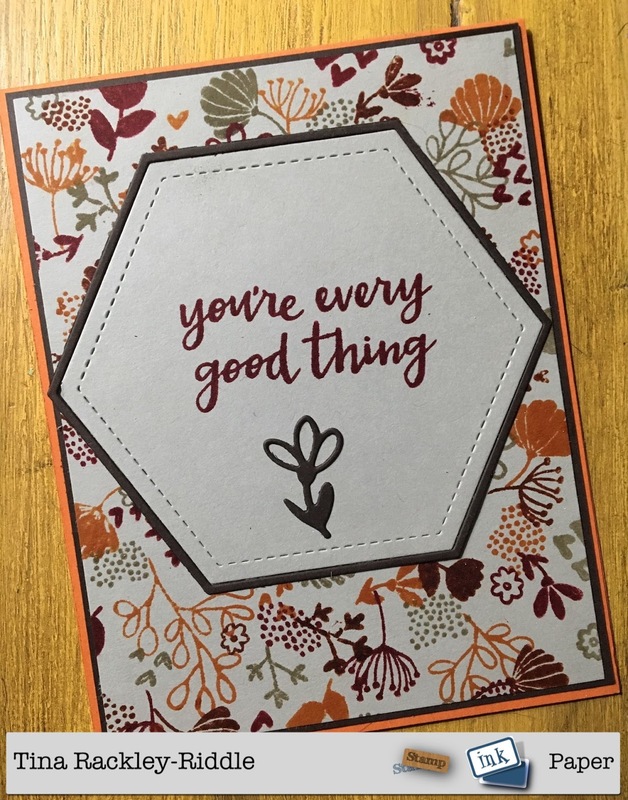 The "you're every good thing" sentiment came from the Concord & 9th Wreath Turnabout Stamp Set. The little die-cut flower was cut out in Early Espresso and adhered to the bottom of the die-cut hexagon. Hello! 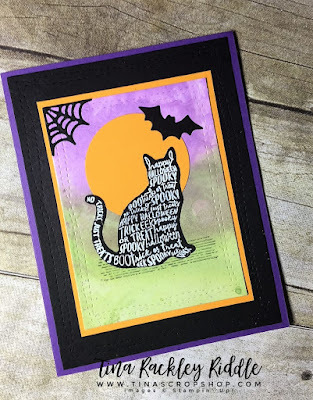 I'm over with my friends at the Paper Craft Crew today with a retro Halloween Card using a set from last year's Holiday Catalog. 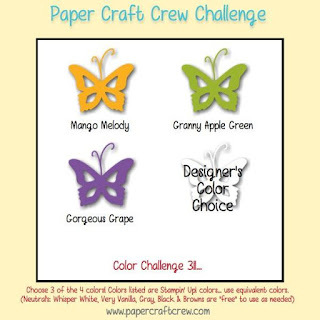 The colors used were Mango Melody, Granny Apple Green, Gorgeous Grape and Black. Hello and Happy Tuesday! As usual on Tuesdays, I'm over with my freinds at Stamp, Ink, Paper. 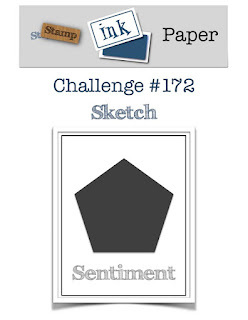 This week we have a fun sketch challenge for you! I used my new My Monthly Hero Kit from Hero Arts for this fun sketch! I made a snow globe of sorts by cutting a circle and then slicing the very bottom off of it and giving it a woodgrain base (a small circle backing the larger one with the bottom of it cut off as well. I did some really quick copic coloring on this... nothing too complicated. 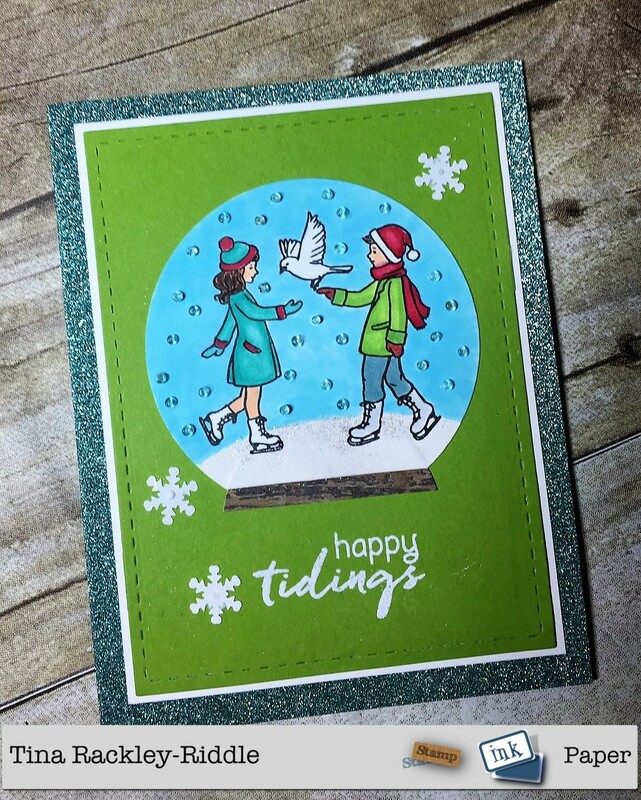 I added some glass seed beads for snow and adhered it to a stitched rectangle panel in Granny Apple Green and layered on Whisper White and then mounted the panels on one of the Glitter Card Bases that was included in the kit. 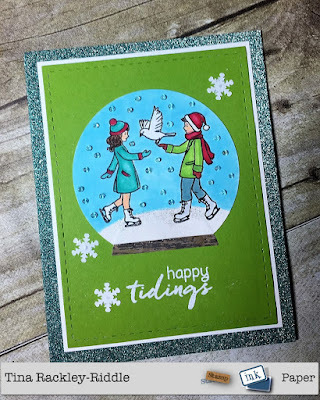 I heat embossed the happy tidings sentiment on the front panel in white and added 3 snowflake sequins to finish it off! Hello and Happy Tuesday! 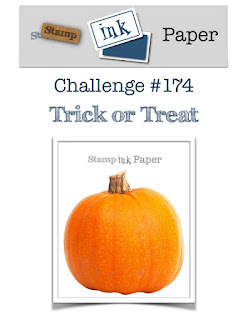 It's time for another Stamp, Ink, Paper Challenge and this week we have a color challenge for you. I cheated a little but don't tell anyone. I loved the deep purple and wanted to use it in flowers but you have to have some contrast so I used a lighter shade of purple as well! 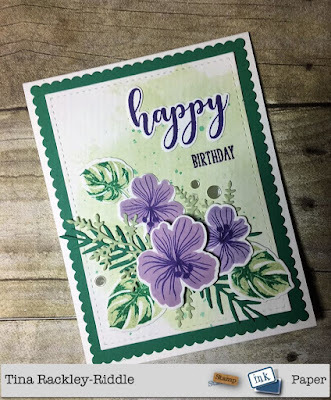 I finally had a chance to play with the Gina K Designs Tropical Blooms Stamp Set... so many pretty images. I started out with a stitched panel of Bristol Smooth Cardstock. I did a little light ink smooshing on the background with SU Soft Sea Foam Ink. I added a few splshes of SU Emerald Envy Ink.. 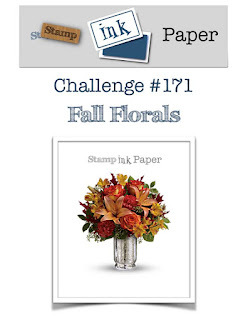 I used those same colors to stamp the leaves from Tropical Blooms. 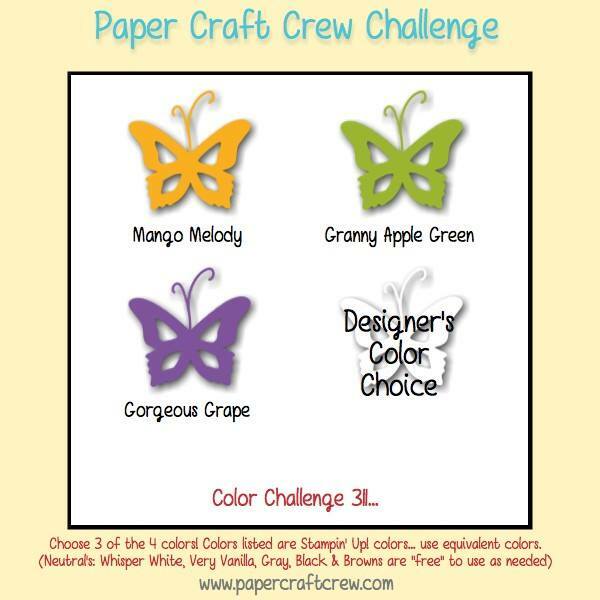 I added some Concord & 9th greenery die cuts to fill the bouquet in more of ... you guessed it, those same colors. Since I didn't have cardstock in Soft Sea Foam, I swiped my ink pad across a piece of Whisper White Cardstock and dried it with my heat tool and then die cut my light greenery. The Tropical Blooms are stamped in Hero Arts purples.... 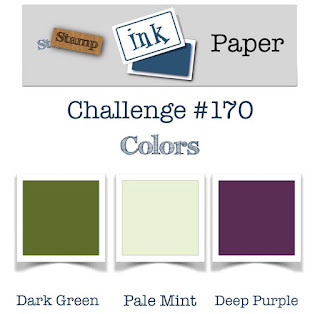 I seriously have no idea what the name of the purple inks are. I think I got them in one of the My Monthly Hero Kits but the light purple was perfect with the deep purple I thought. I stamped my "Happy" in the darker ink and used the coordinating Happy Shadow Die to cut it out. I stamped "Birthday" directly on my card base. I layered the panel onto a Scalloped Layer of SU Emerald Envy Cardstock and then mounted it all on a 110# Neenah Classic Crest Solar White Top Folding Card Base. I finished it off with some PPP Sparking Clear Confetti!